Here is another one. It’s 2015. 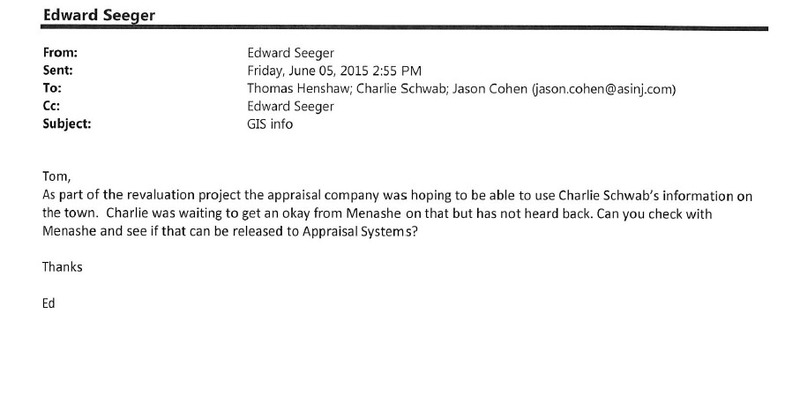 Menashe Miller is not the Mayor – so why is he dictating the project? Why is the township attorney asking him? It gets even worse… because FWM was operating illegally at the time, as they hadn’t incorporated yet with the State of NJ, or ANY state for that matter. How on earth could the governing body team up with an illegal operation to develop legally dedicated property? Why was there no basic due diligence undertaken to identify and verify the true scheme behind the FWM deal? Unless of course, someone on the upper echelons of Lakewood’s government directed to skip those required steps and gave his OK to go ahead. As you can see – the Township professionals were mysteriously directed to become a “partner” in crime together with Shvantz Schwab in his illegal development project. There is no official record showing any vote by the Committee to join as co-applicants on the construction project. Yet, somehow the Planning Board Secretary was directed to present this as a “joint” twp/schwab application. The twp attorney also took the unprecedented step of waiving thousands of dollars in Application Board fees for the FWM entity because this was indeed considered a “joint” application. Schwab_the Schvantz was the “conduit” for many corrupt deals that took place in Lakewood. No more. They gotta find a new guy. Are the twp employees also responsible for not following the law / protocol on these matters? 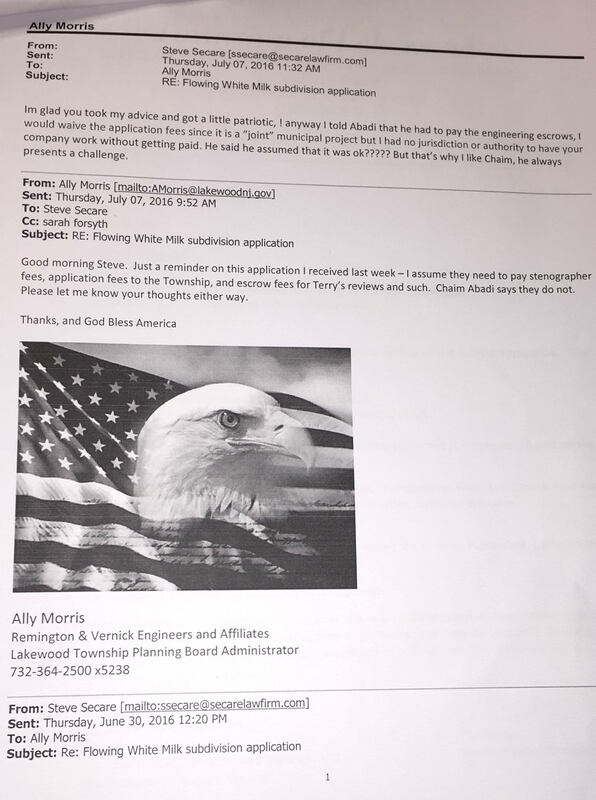 Ally Morris has a full time job with the Lakewood township, and works for an engineering firm as well? False. She works for an engineering firm that the twnshp hired.